ALTBalaji is India’s largest platform for original and exclusive digital content with more than 15 million mobile plus web users and is available in over 90 countries. The digital platform currently offers 21 original shows in Indian languages across various genres such as romance, mystery, drama, and comedy. The platform also offers entertaining original shows for kids and have launched short, hilarious regional stand-up comedy videos in Marathi, Punjabi, Hindi, Gujarati, Tamil, and Telugu. 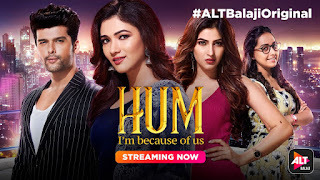 The homegrown OTT platform has added yet another star-studded show ‘Hum - I’m because of us’ to their existing vast library. The show is a family drama and focusses on the strong bond between the three sisters and how their individual desires and ambitions changes their relation and affects this bond when destiny brings them to Mumbai. 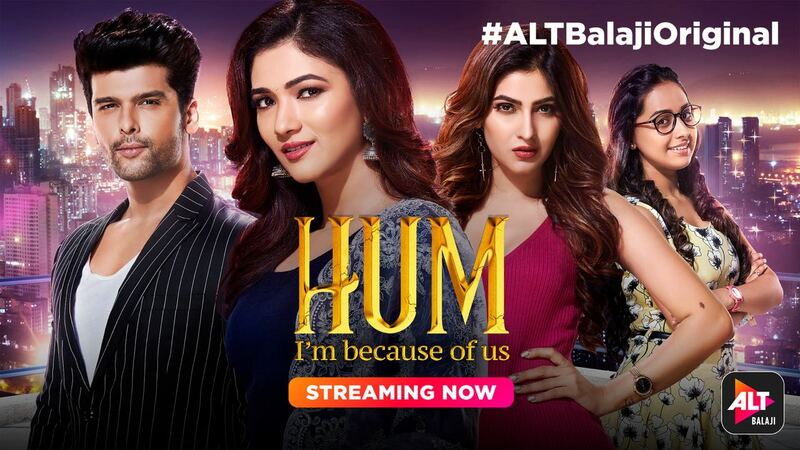 Starring Kushal Tandon, Ridhima Pandit, Karishma Sharma and Payal Bhojwani in pivotal roles the show has been directed by Parth Mitra ‘Hum - I’m because of us’ is streaming now on the ALTBalaji app and the website.